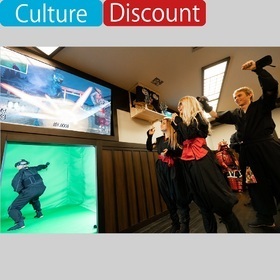 VR Ninja Dojo" is a new small theater theme park combined Training, Performance, Experience. You can enjoy VR action program with game elements killing enemies approaching in the VR world as examination test of full mastership after the ninja training exercises such as "throwing shuriken", "cutting with ninja sword", "using ninjutsu" with VR headset. Also you can enjoy cosplaying of Ninja. Those 7 or older may enjoy VR so, you can enjoy with your family ! All announcements are in English! Tokyo City i／SHINAGAWA Station／SHINJUKU／KEIO SHINJUKU／GINZA／ASAKUSA／AKIHABARA／AKIHABARA T.I.C.